Staff Sgt. J.D. 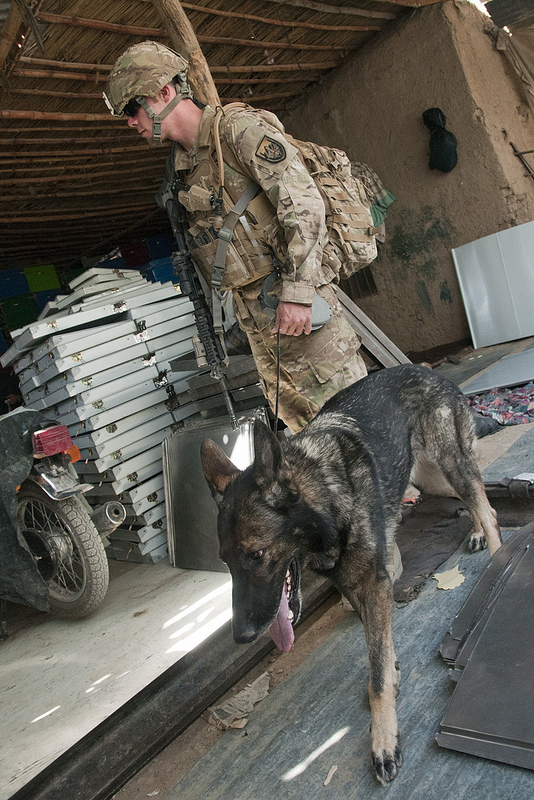 Wake, who serves as a military working dog handler with USFOR-A, along with his working dog Csuma, search a metal workshop for contraband during a joint operation with the Afghan Uniformed Police of Police Sub-Station 16, Sub-District 4 and Military Police with the 58th Military Police Company, 503rd Military Police Battalion, 2nd Stryker Brigade Combat Team, 2nd Infantry Division, in Kandahar, Afghanistan, May 23.